Auto Value CSCs receive special benefits! 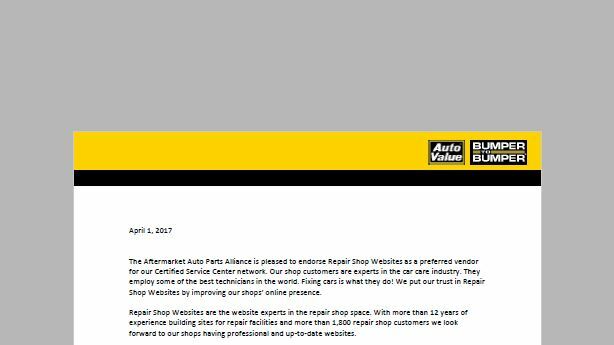 Grow Your Sales with Auto Value partner Repair Shop Websites. For more than 13 years, Repair Shop Websites has been building professional websites exclusively for the automotive repair industry. Our sites bring business to more than 2,100 independent repair shops in all 50 states. With no contracts and a 95% customer retention rate, you can be confident that you’ll receive great search results and extraordinary customer service. 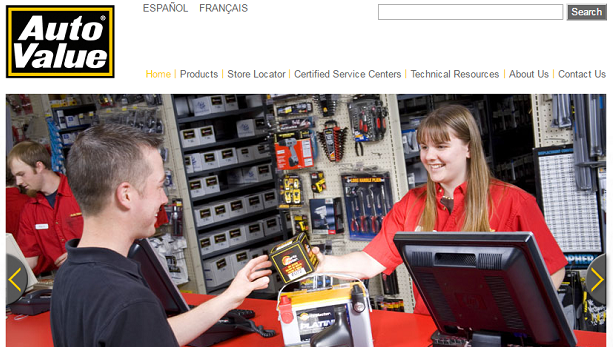 Repair Shop Websites has brought a tremendous amount of service to our shop. The site is very professional, very clean, and we’ve had a tremendous amount of compliments on it. Jeff Finley , Northside Service, Inc.